Google recently changed the way their map service works. 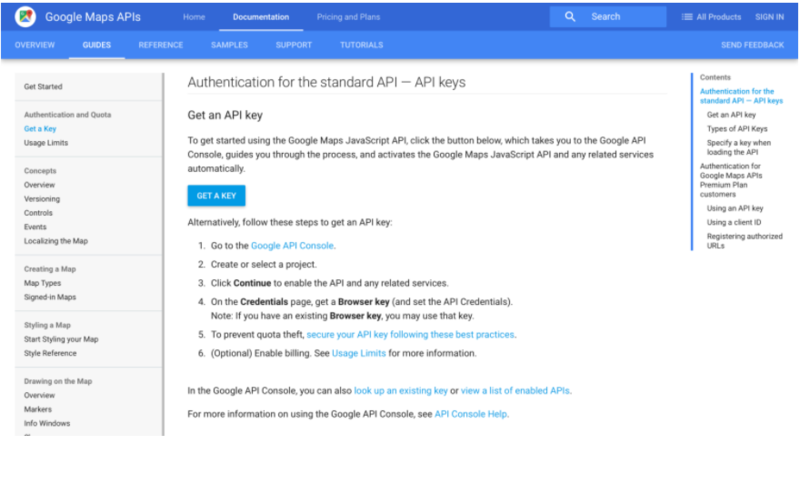 New domains which want to use Google Maps need to register an API key for their website. Older domains should work fine without this API key. In this tutorial, we provide a list of steps to follow. It’s actually not that hard at all. Note: Google requires websites to be on SSL. You will notice the Blue button with the label “GET A KEY”. Press it. 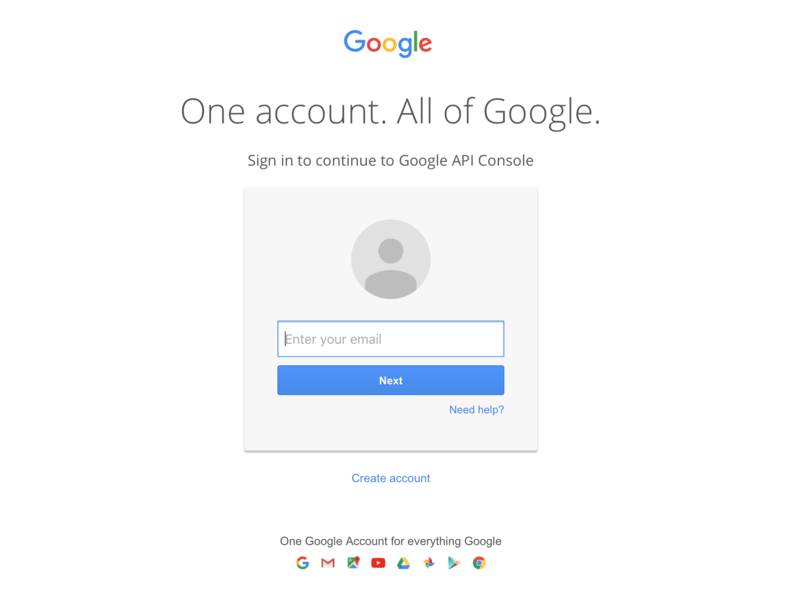 If you are not already logged in google will ask you to do so. 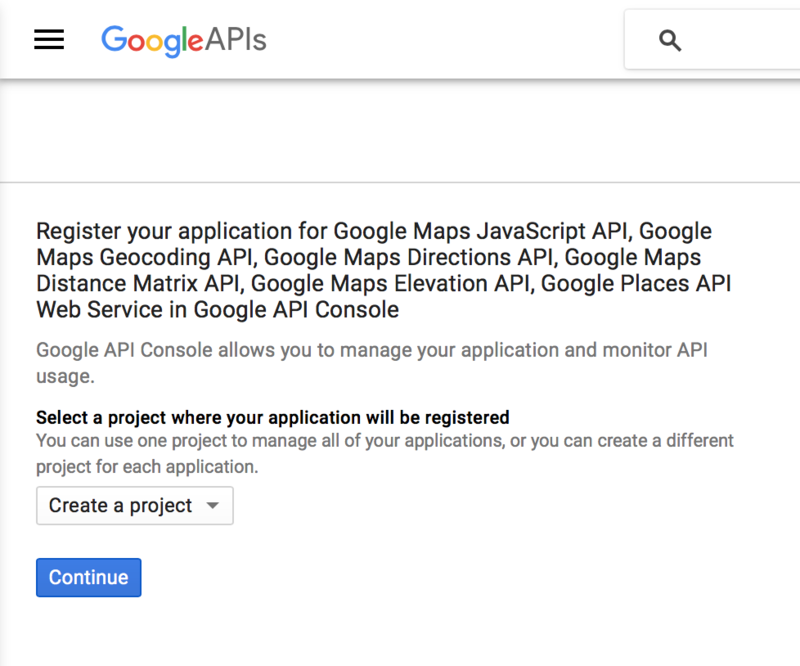 The Google API project site will open once you are logged in. Set the drop-down menu to “Create a project” and press the continue button. 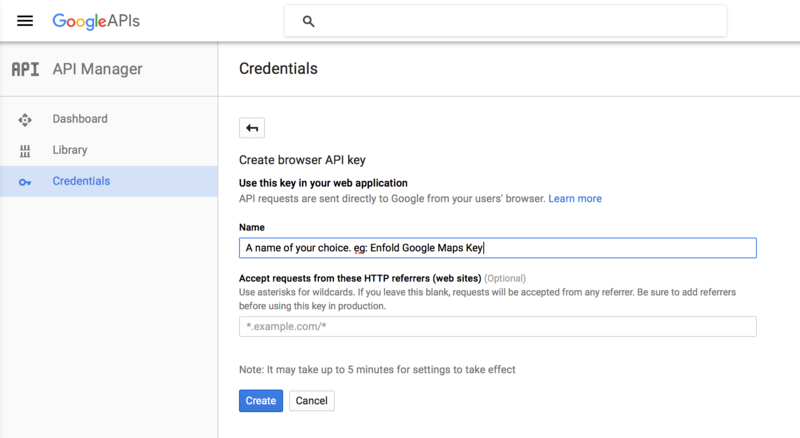 Now you need to enter a name for your API key. This name can be anything and is totally arbitrary. If you want you can also enter your domain name so only requests from your domain with that key will be accepted. IMPORTANT: If you want to enter your domain make sure that you use the format that Google already suggests. If you encounter problems we recommend to remove all restrictions first and see if that helps, and then add your restriction back in. Chances are high that if it worked without restriction and does not with restriction you used the wrong syntax.